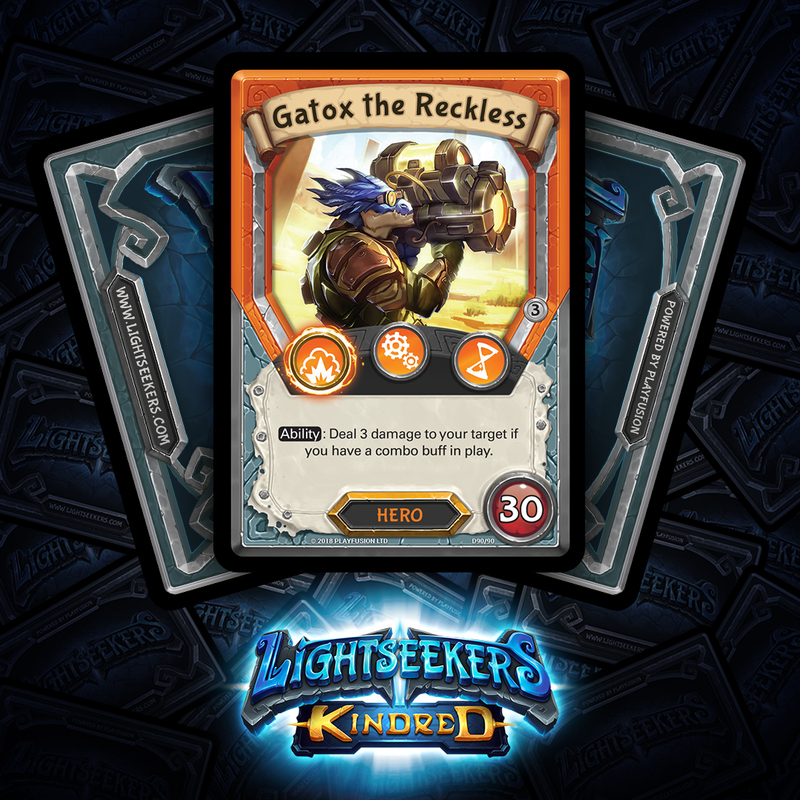 With the average 30 starting Health, along with Superiority in the aggressive Tech Element of Explosive, Gatox is ready to start taking chunks out of your opponent’s Health. This is helped along by Gatox’s Ability which hits in for 3 damage, so long as you have the right invention in play to help him out, in this case a combo buff. Straight out of the box you’ll discover the bonus that Body Morph adds, allowing Gatox’s Ability to be used over the next 3 turns, as well as boosting its damage. There are plenty of great combo buffs that stick around in play, that can be added to the deck, to keep Gatox’s ability live, from the action granting Celerity to the damage boosting Combat Tech Fusion (which has the bonus of increasing Gatox’s Ability damage as well). 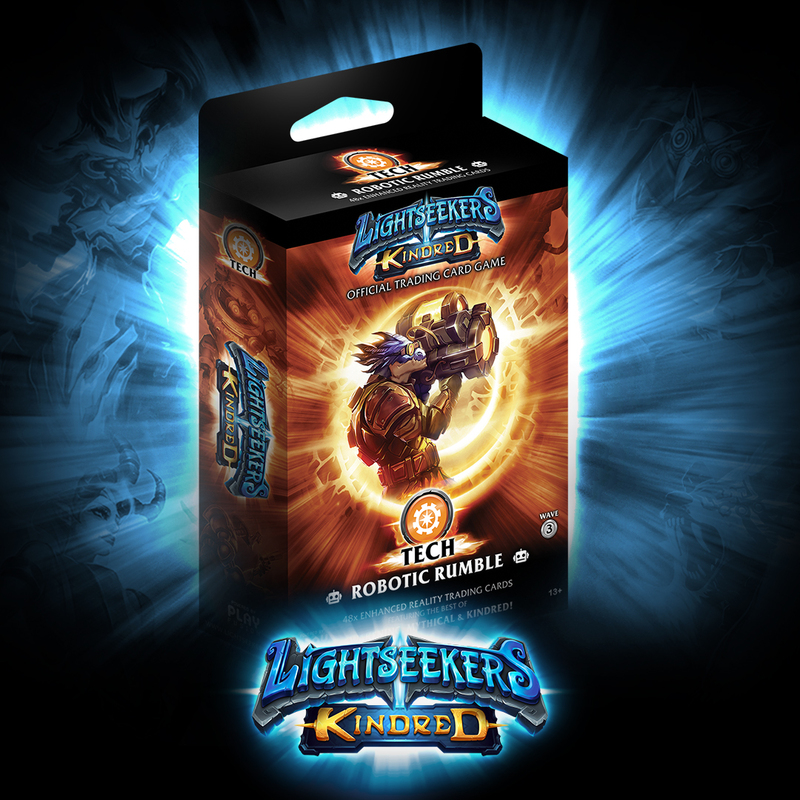 There’s a couple of other great combos in Kindred that we’re sure will find their way into Gatox decks! Where only moments ago a tired and rusted sentinel had stood, there was now little more than flaming scraps of metal and a large crater carved into the sand. “Now that’s what I’m talking about!” Gatox wildly proclaimed, dropping the still smoking Ion-Blaster to his waist, excitement flowing through the energetic lieutenant. “Another month or so of trials and I think it’ll be about ready for battlefront testing,” a wide-eyed scientist shouted, as he removed a thick pair of noise defenders from his head. “A month! She’s ready to go now,” Gatox proclaimed as he pulled the blaster back to his shoulder, locking it into place. Bringing a clawed hand up to the side of the cannon, Gatox twisted a large mechanical dial, the hum of the prototype weapon growing exponentially, as a digital readout flickered quickly from a dull ten percent to a blindingly bright ninety percent. “No time like the present!” Gatox yelled, his voice drowned out by the cannon’s roar. “Sir, I must advise you that this could be seriously dangerous,” the already nervous doctor beginning to hop from foot to foot, with a mixture of frustration and terror. Gatox, caught in the moment, could see the mouth of his worried companion flapping ferociously, but the fragile words did little to cut through the racket of his latest invention. Turning his attention back to the junkyard that had become their unofficial testing grounds, Gatox squinted as he searched for a target. A highly stacked tower of decommissioned military paraphernalia, instantly catching his attention. Gently squeezing on the trigger, he could hardly hold back his glee as the cannon oscillated with life. “Boom,” he whispered, as the trigger reached full compression. The wave of energy that erupted from the blaster sent Gatox crashing across the desert sand, as it flew uncontrollably off of its trajectory, missing the desired target and tearing through the central support column of a giant crane. For a moment, the crane stood silently in place. Then with a deep groan, the remaining struts began to snap and buckle under its tremendous weight, sending the crane’s boom tumbling towards the floor. The impact creating a shockwave of sand and dust that billowed into the air for miles around. “Another month or so of trials and I think it’ll be about ready for battlefront testing,” Gatox announced, brushing himself down before turning to leave. We’ve also managed to get our hands on one of the Robots that dwells within Gatox’s collection; one that shows a stark contrast to the destruction that usually surrounds Gatox: it’s the Repair Bot! 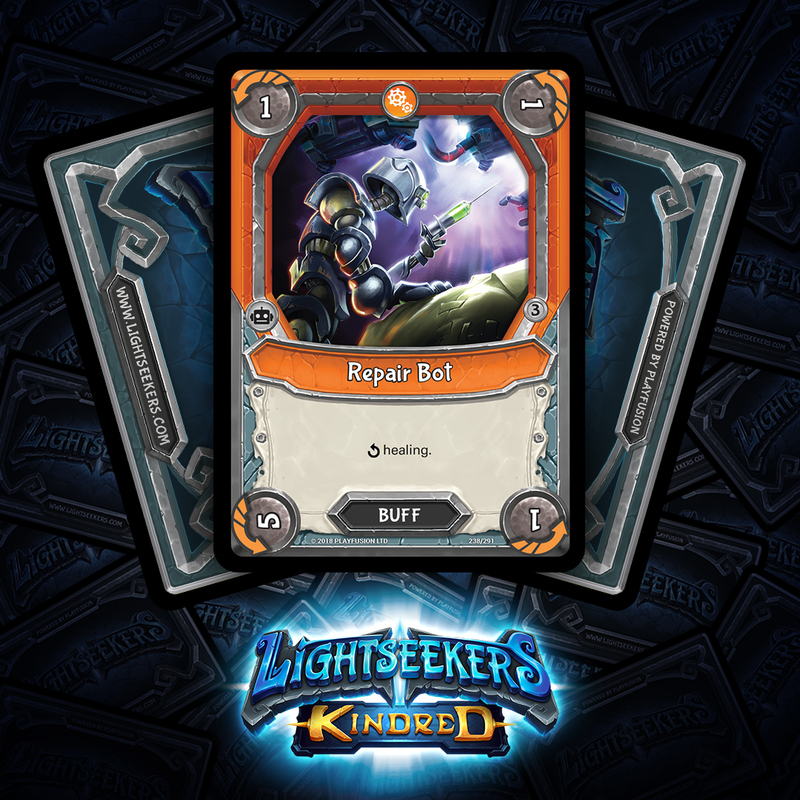 The Repair Bot starts out small, ticking along for just single points of healing, but if given the chance to finish out its programming, it will bring a big boost of 5 healing on its final corner. It definitely fits in well with the Mechanical Elements emphasis on tight, defensive play. It is of course a Robot card as well, meaning it’s got some cool interactions with some other cards that are coming later this week (or even later today)! Included here is the decklist for Robotic Rumble – we’ll have more Robot (and some Machine!) spoilers coming over the remainder of the week.  Discus this further in the forum!